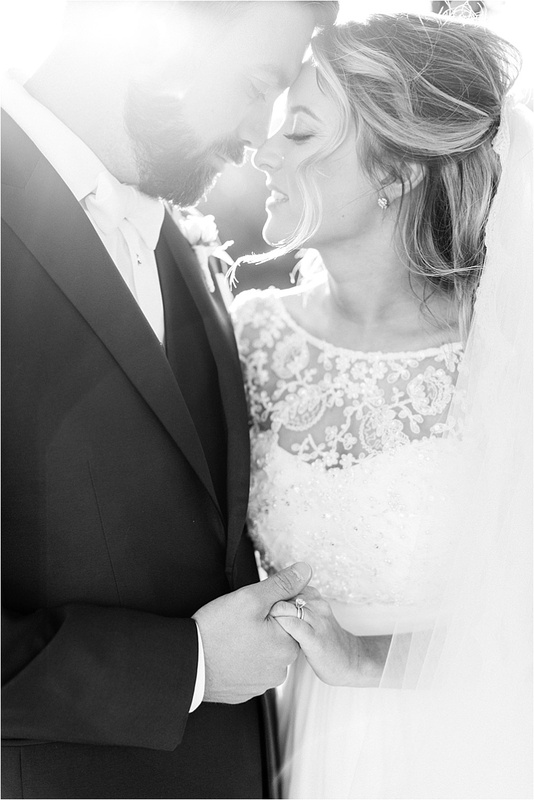 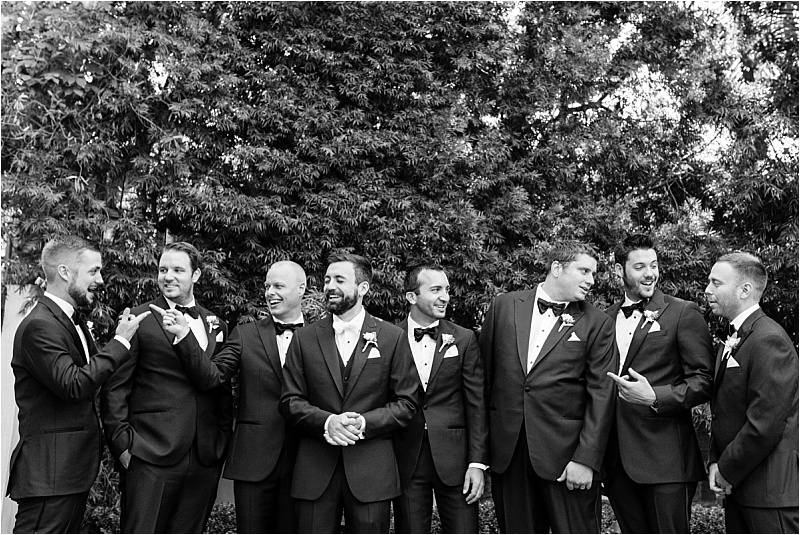 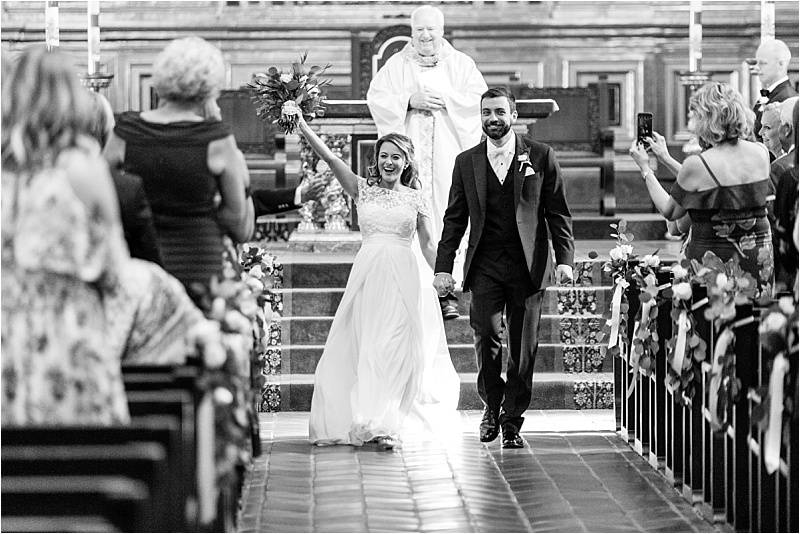 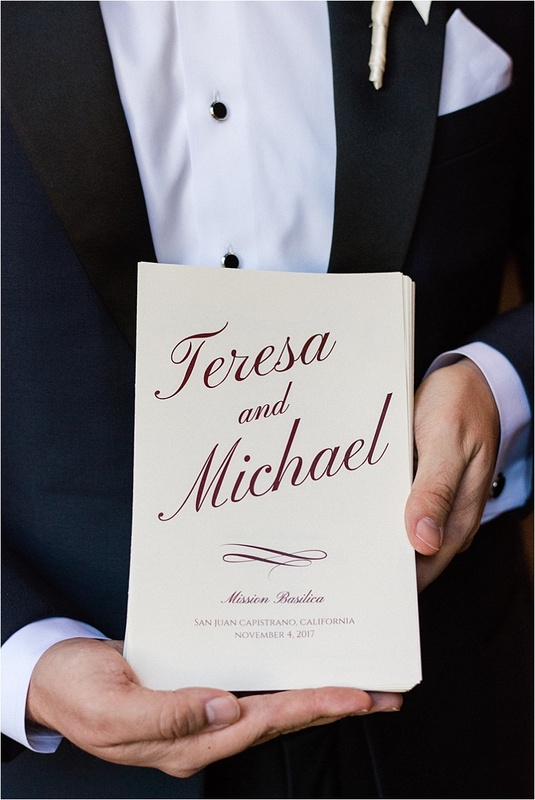 The stars aligned for Teresa and Michael when Michael’s cousin and Teresa’s best friend tied the knot. 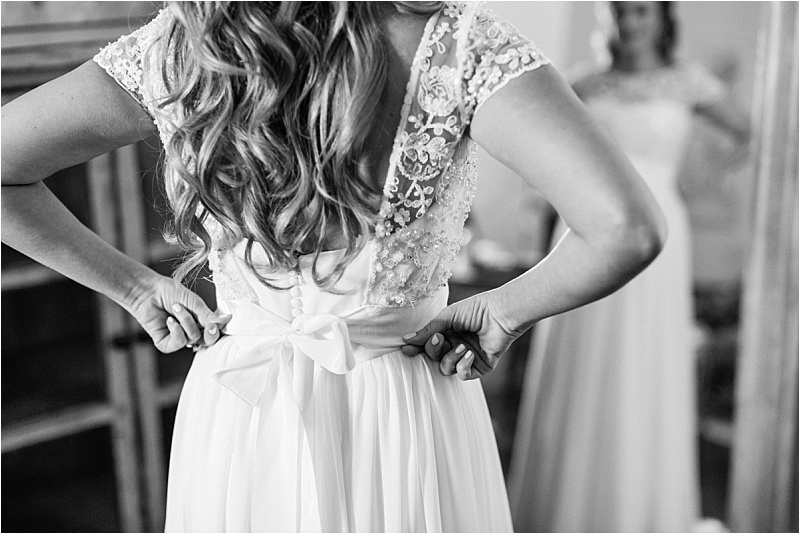 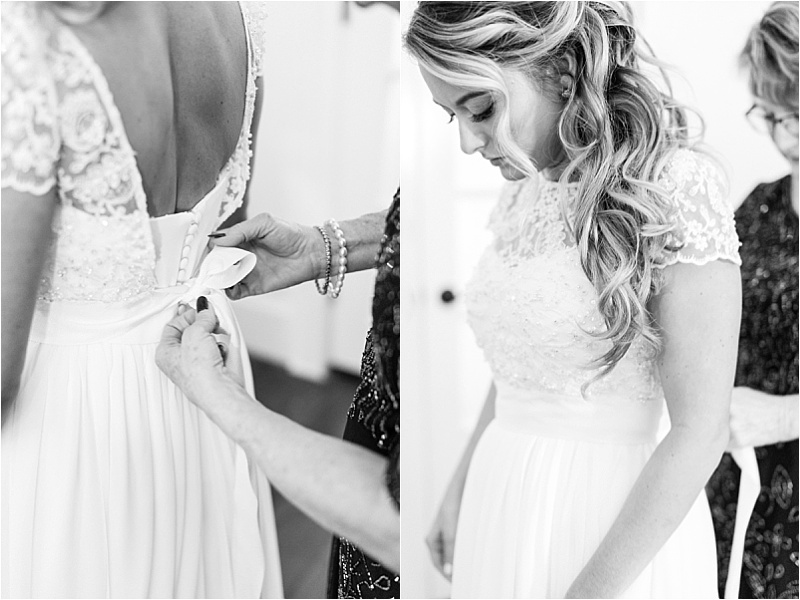 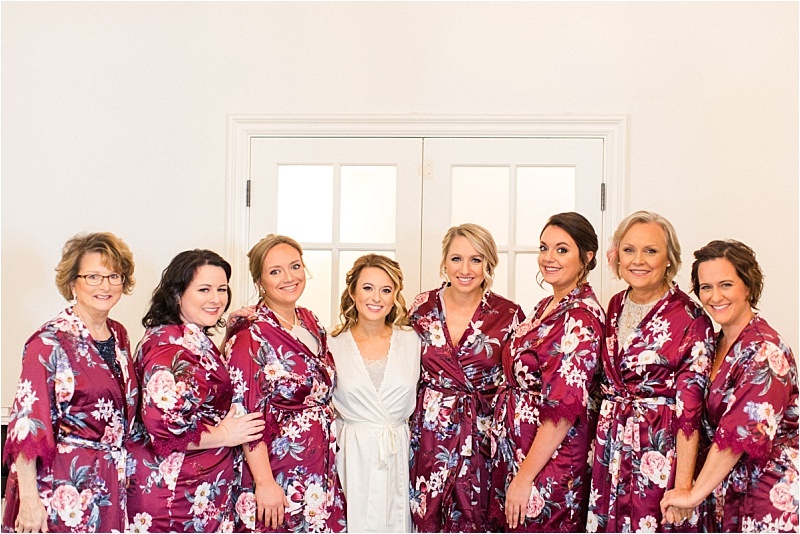 The two were paired up in the bridal party and now consider that night as their first date, complete with dinner, drinks, dancing and professional photos! 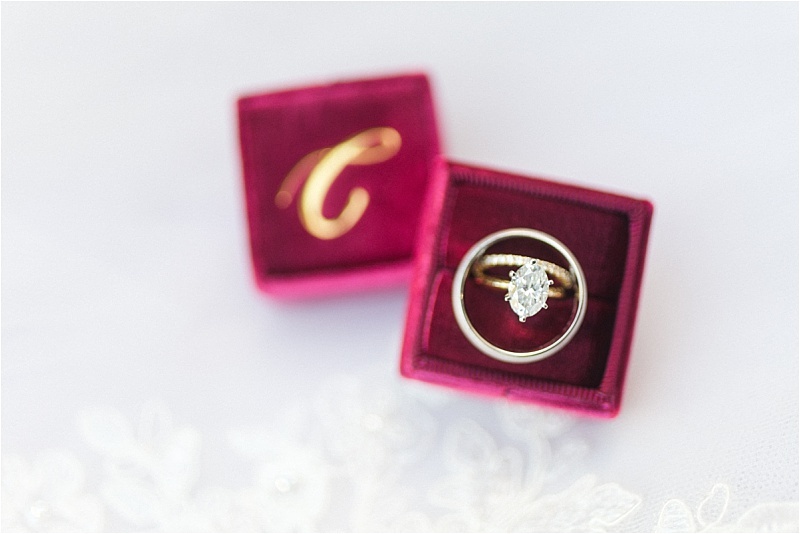 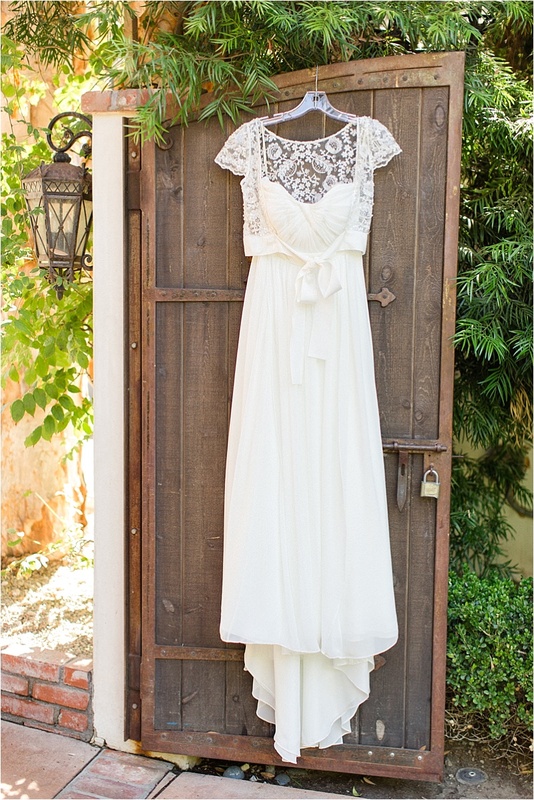 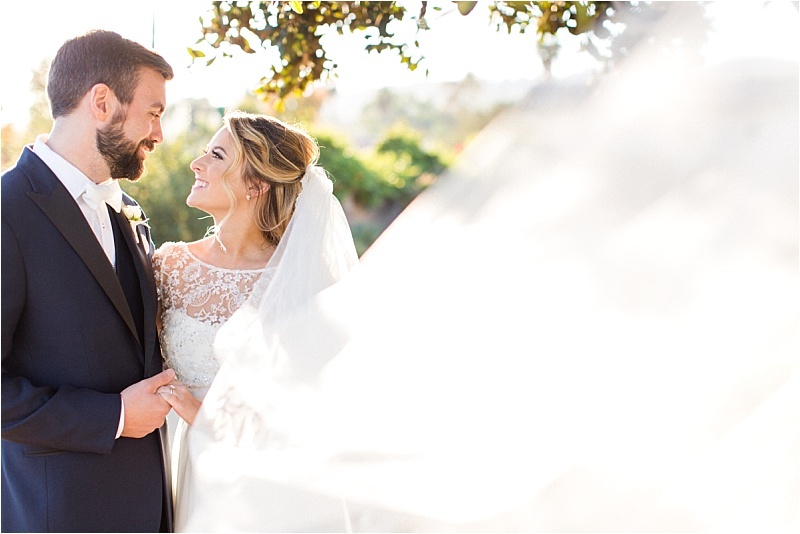 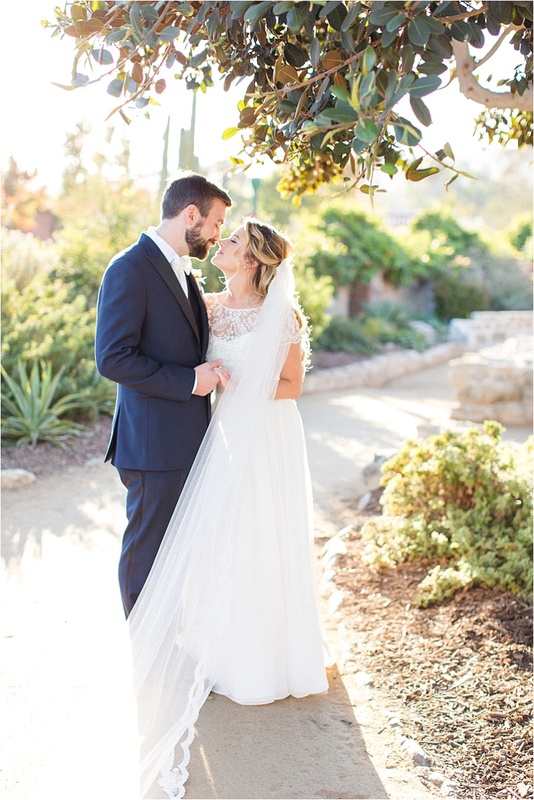 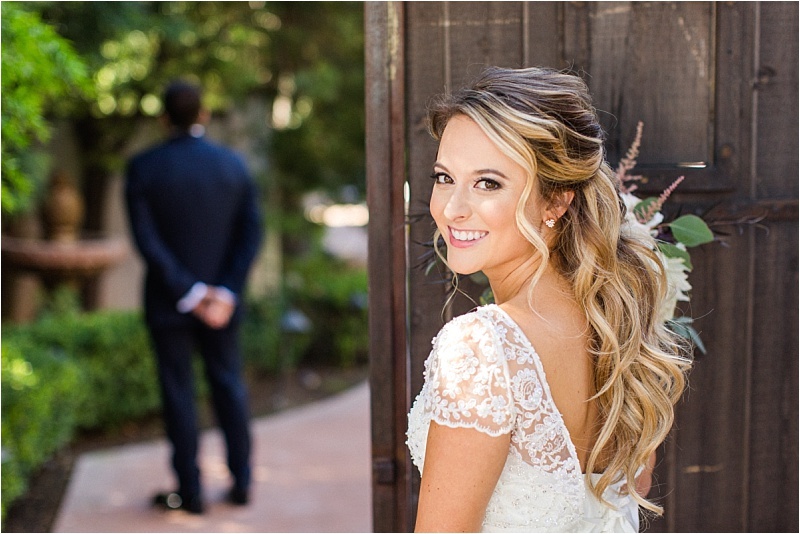 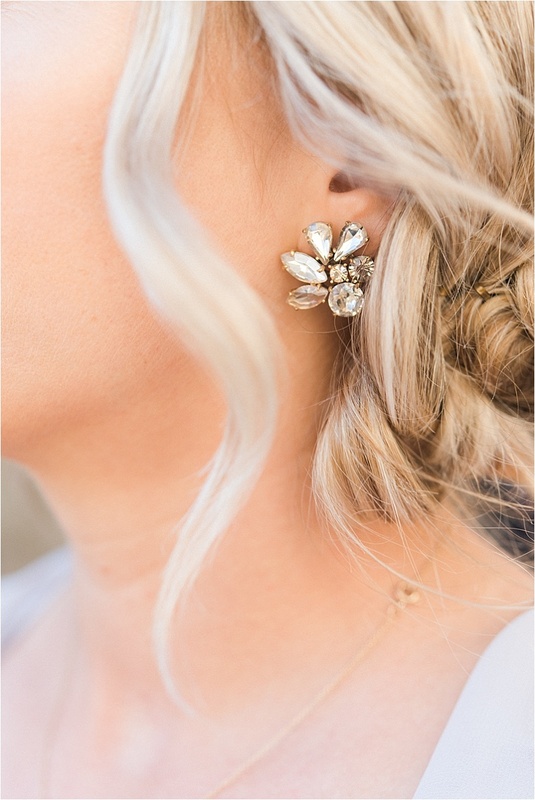 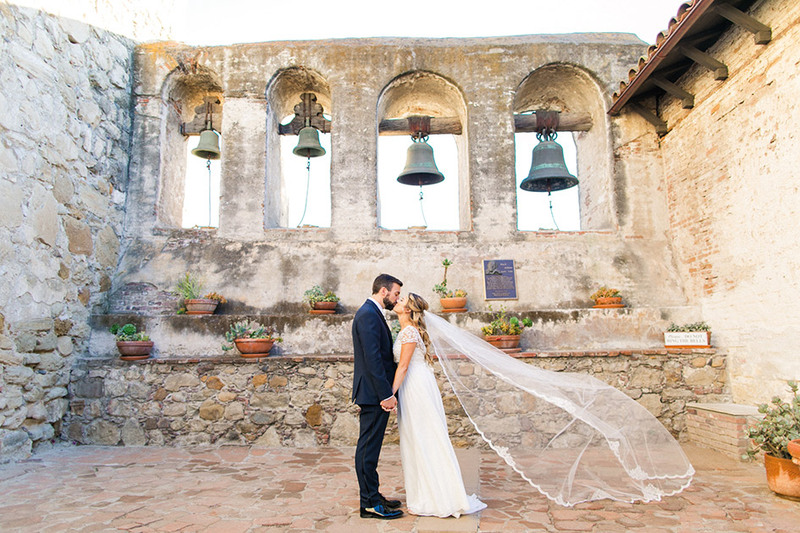 Michael popped the question a few years later during a romantic evening in Napa Valley, and the couple began planning the wine-hued wedding of their dreams. 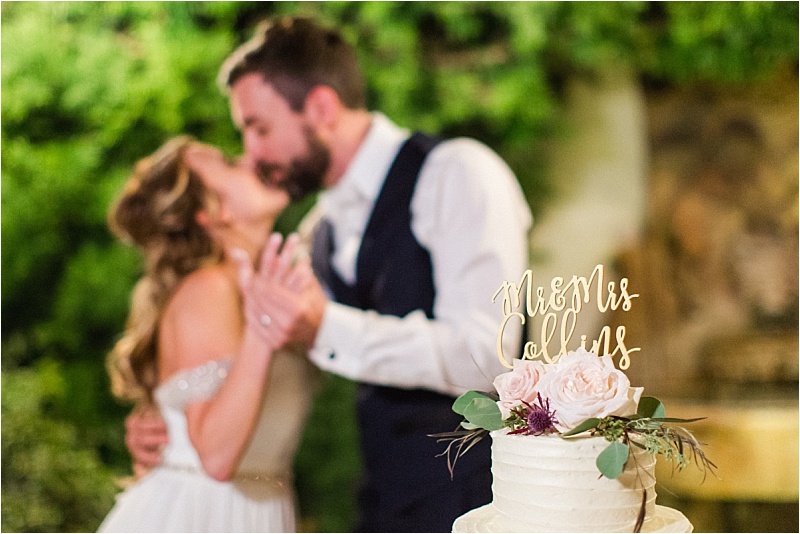 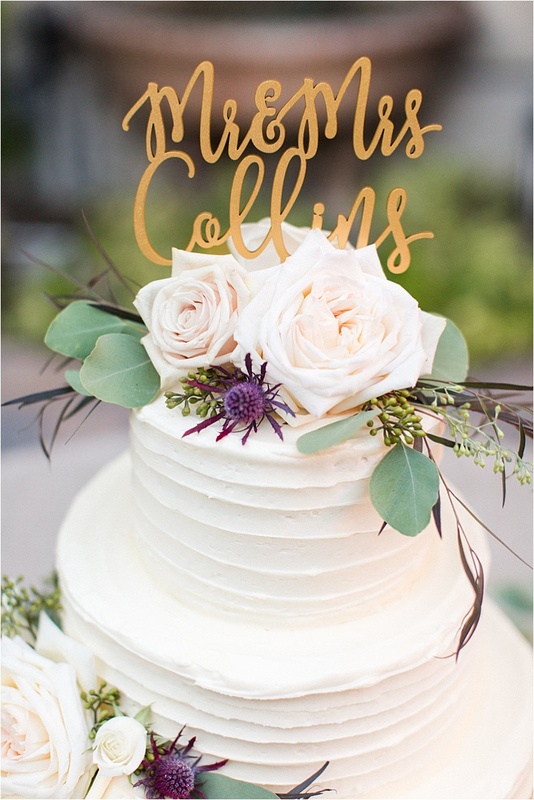 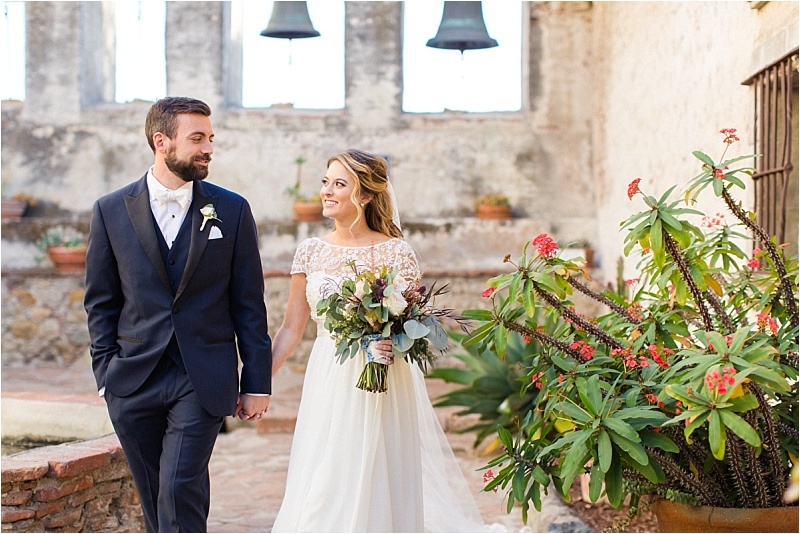 Teresa and Michael knew they wanted their November wedding to feel warm, welcoming and inspired by the colors of autumn. 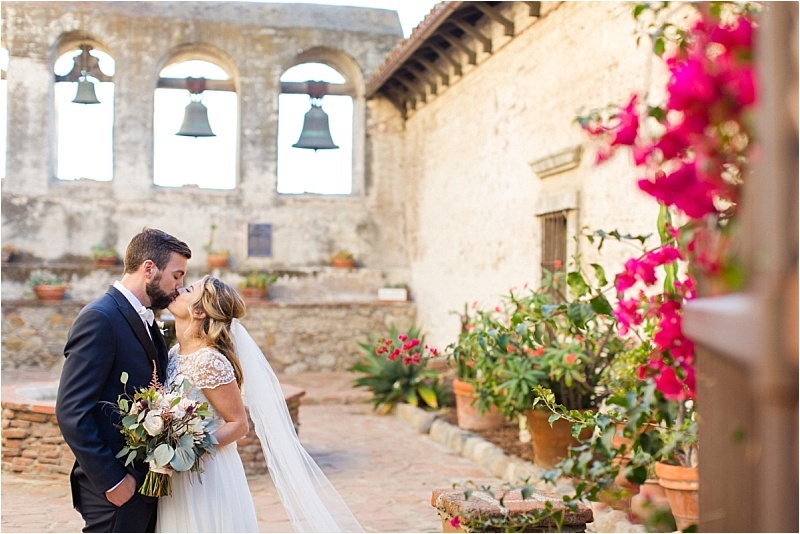 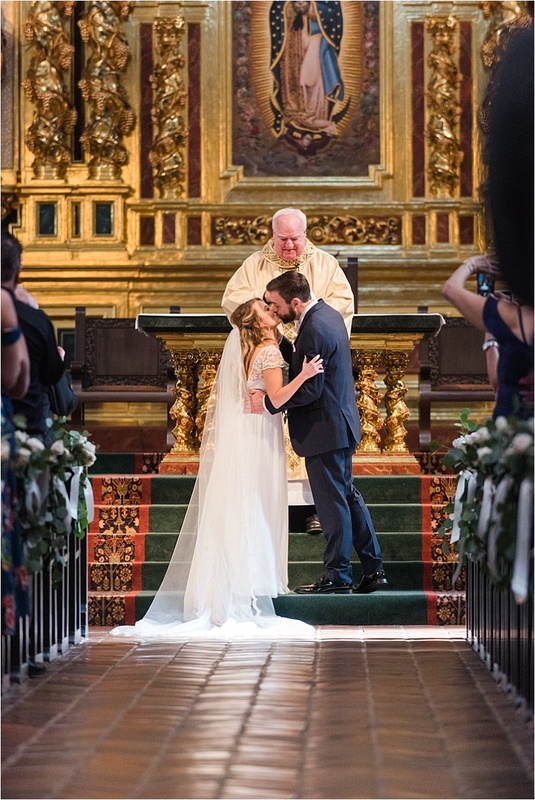 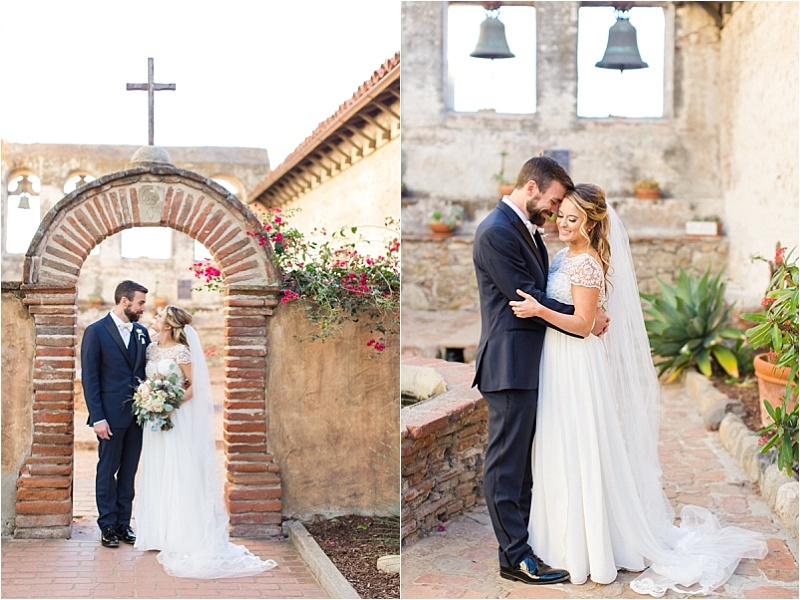 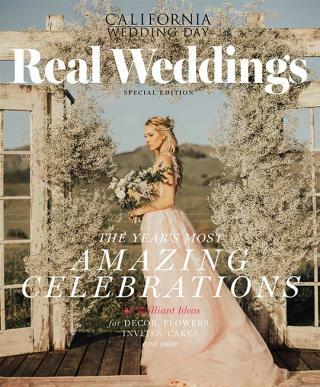 They teamed up with Confetti Skies and Alchemy Floral Artistry to infuse the evening with deep reds, warm blushes and gold accents, which beautifully accented their ceremony backdrop inside Mission Basilica San Juan Capistrano. 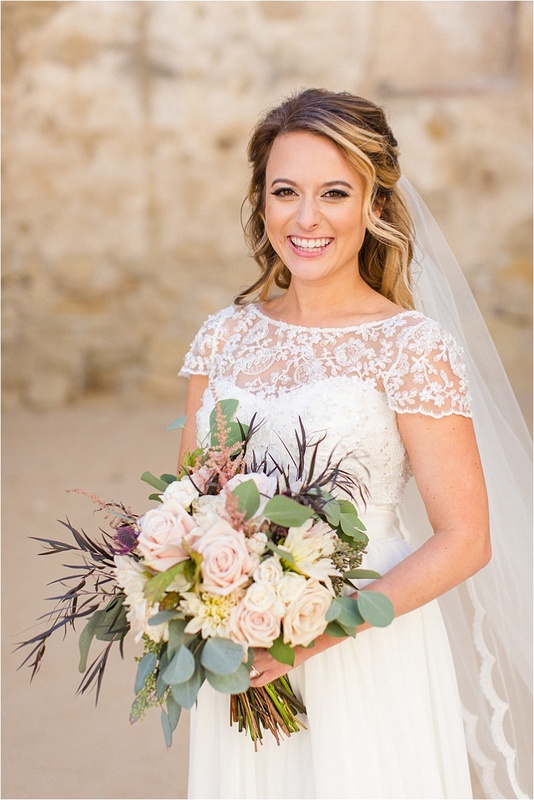 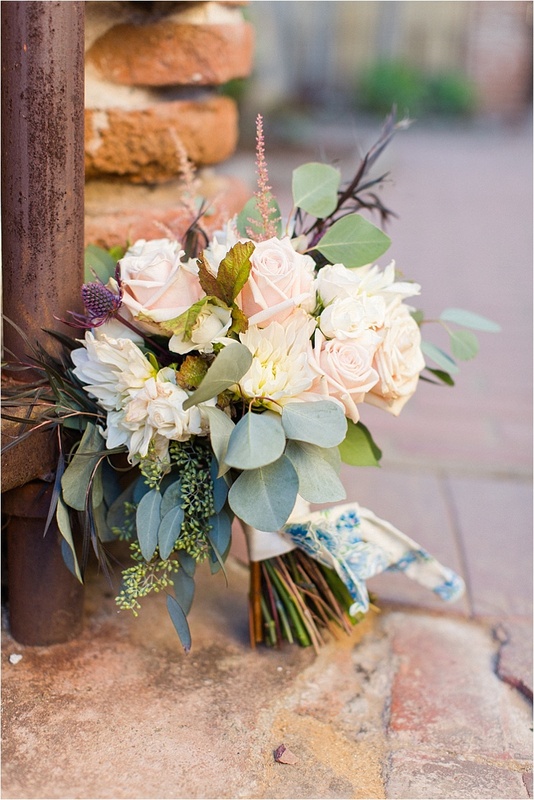 Teresa’s bouquet was a lush, hand-tied round of blush garden roses, ranunculus, quicksand roses, cafe dahlias and whimsical greenery. 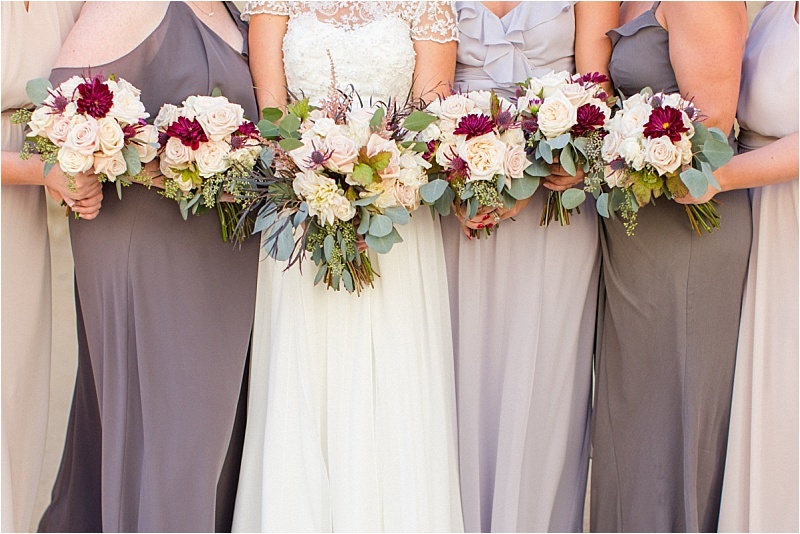 Her bridesmaids carried smaller versions of the same floral palette, which were tied together with burgundy satin. 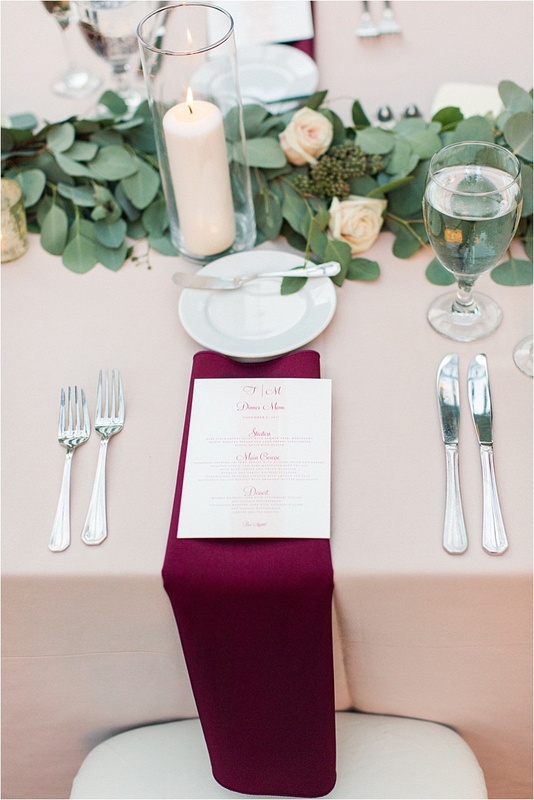 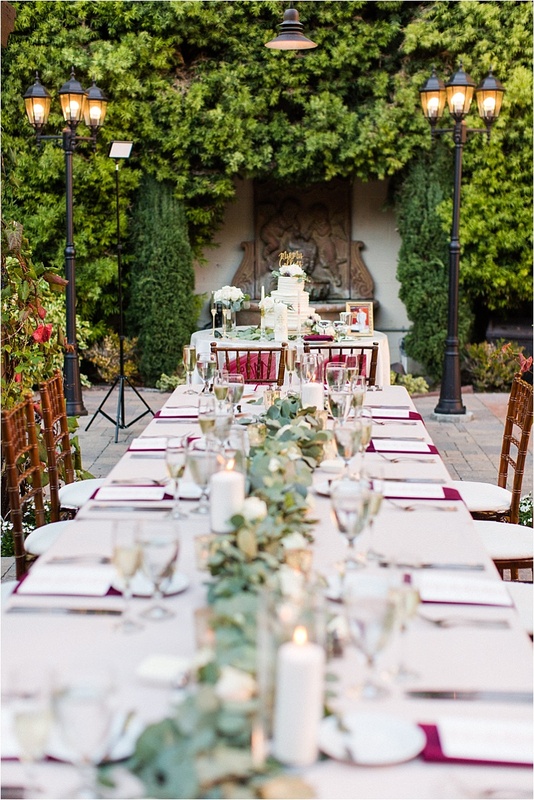 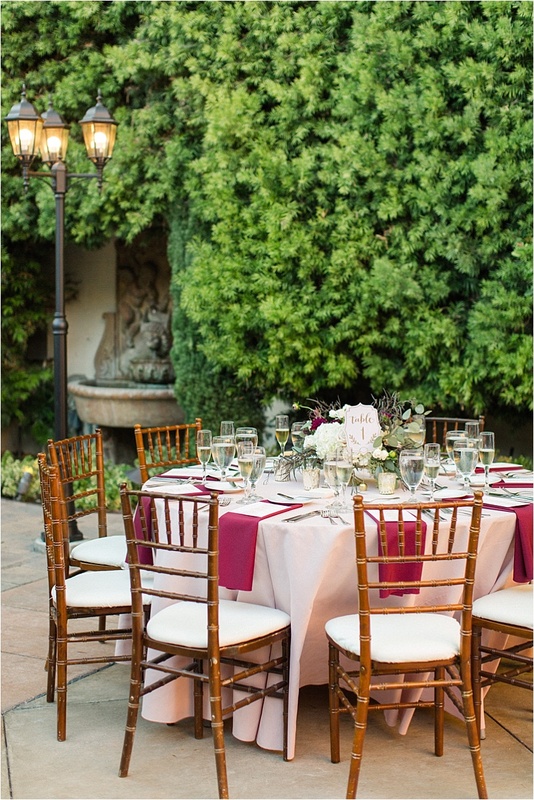 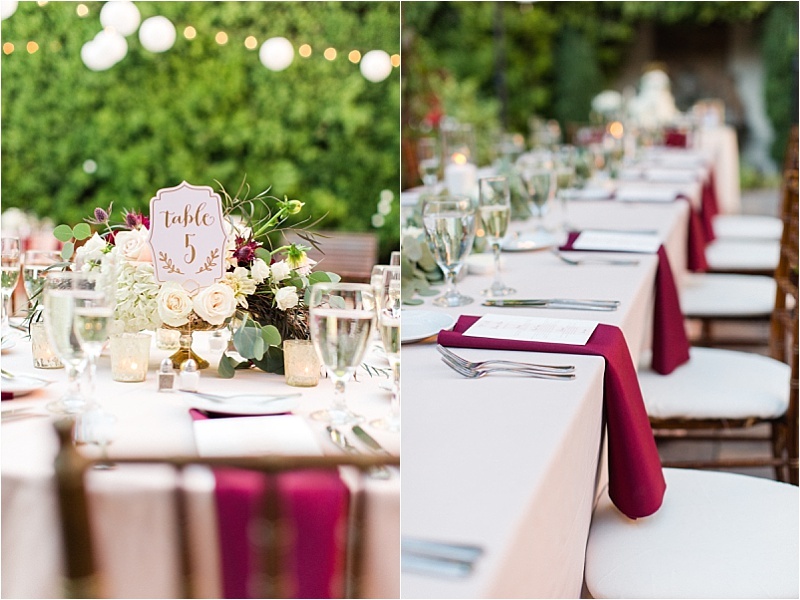 After the ceremony, guests were transported to Franciscan Gardens for an intimate outdoor reception adorned with floral centerpieces and buttery blush and burgundy table linens. 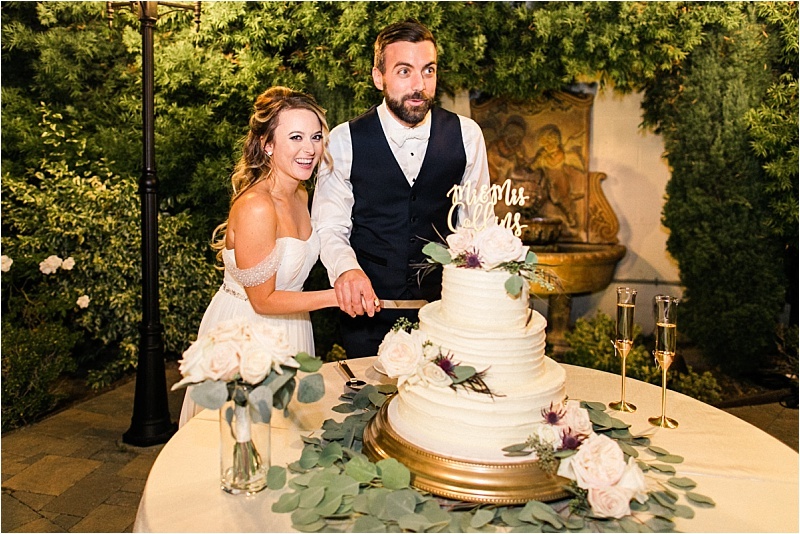 Teresa, Michael and their family and friends danced the night away to Journey’s “Don’t Stop Believin’” beneath twinkling market lights while The Vondys captured every unforgettable moment with their cameras. 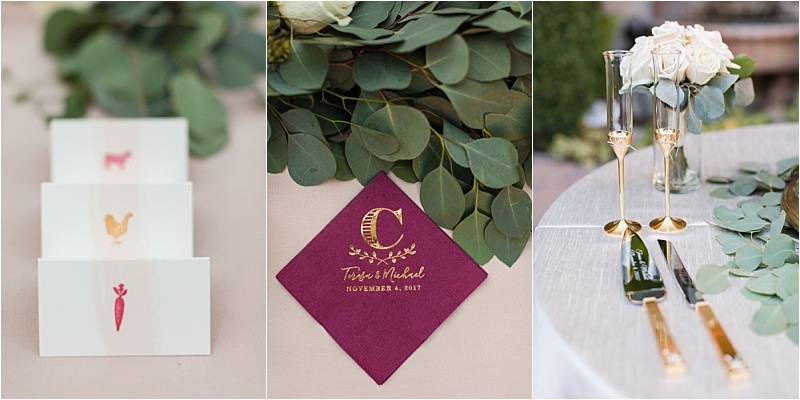 The couple incorporated Garrett gourmet popcorn and Ghirardelli chocolates to represent the two most significant cities in their relationship; Chicago, where they first met, and San Francisco, where their one-of-a-kind love blossomed.